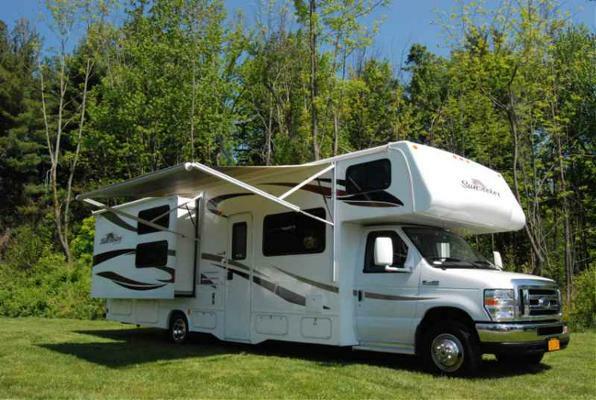 RV rentals are a fun and exciting way to take a family vacation or go on a weekend get-away! Happy Daze RV's, Sacramento a leader in California for motorhome rental RVs and travel trailer rentals. 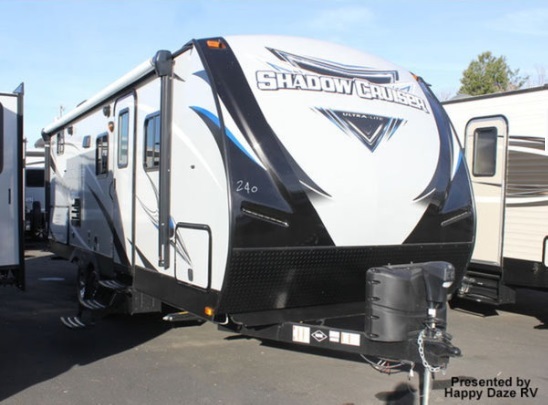 We offer a wide selection of RV rental units ranging from 25 ft. up to 32 ft.
All of our rentals are late model year motorhomes and travel trailers that we purchase directly from the manufacturers so you can enjoy your RV rental vacation with peace of mind! For those considering a purchase, a RV rental is a great way to "try before you buy." RV rentals are perfect for Burning Man. Reserve early they go quick! Being the biggest and most unusual party in the world, with around 60,000 people camping in the desert of Nevada for a week. It's craziness will leave you with the greatest memories forever! Call to reserve your RV today. 27 ft. Trailer with bunkhouse and one slideout. Sleeps 6-8 people. 25 ft. Class C motorhome with one slideout. Sleeps 4-6 people. 27 ft. Class C motorhome with one slideout. Sleeps 4-6 people. 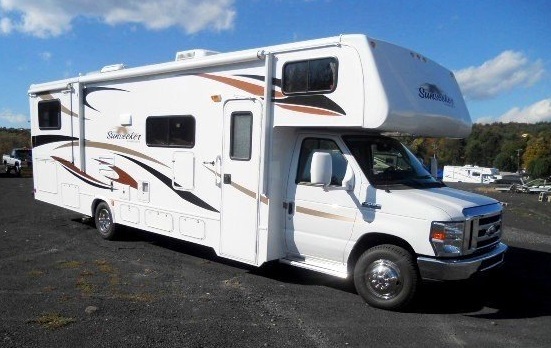 31 ft. Class C motorhome with two slideouts. Sleeps 6-8 people. 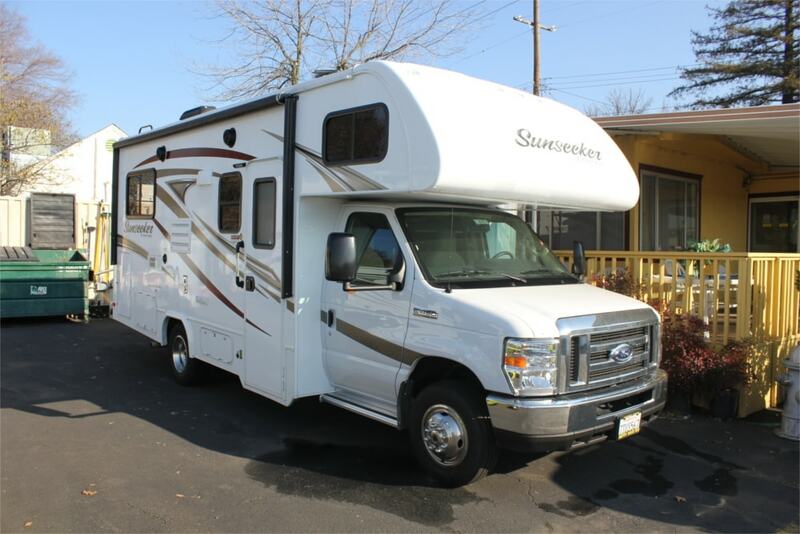 32 ft. Class C motorhome with two slideouts. Sleeps 8-10 people. 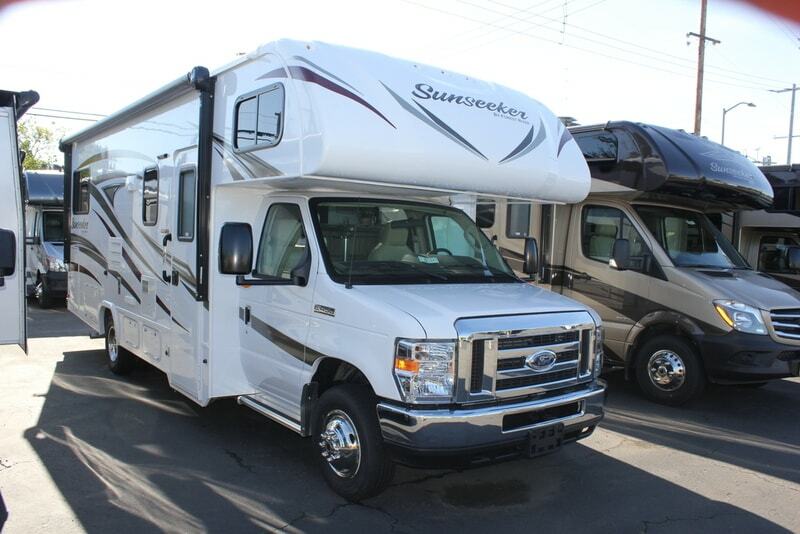 All rental motorhomes are clean, and include insurance coverage. Renters are required to provide a security hold to cover insurance deductibles. Renters are liable for the first $1,000.00 per accident or occurrence. Please click on the unit details button to view photos of the unit and inquire on the rental availability for the dates you need. A representative from Happy Daze RV's in Sacramento, California will contact you to confirm receipt of your request and availability. Insurance coverage is included with the deductible. 100 free miles per day ($0.37 per mile thereafter). Generator use is $3.00 per hour. Propane, hoses and chemicals provided at no charge. All units are late year models. Limited number of pet friendly units are available (addl. $10/night). Three-night minimum on all rentals; some holiday and event periods require a five-night minimum. Towing vehicle must be rated with a 7,500 lb. towing capacity. Tow vehicle must have the following items already installed on day of departure. This form must be filled out and signed by your insurance agent. If they cannot sign it, we cannot rent the trailer. Happy Daze RV's provides the insurance on the trailer, but it does not extend to the towing vehicle. This form lets us know that your personal insurance policy is not affected by towing a non-owned trailer. *Trailers depart Monday - Friday only, no weekend pick-ups. Drop-off on weekends is allowed. Please note:Our Sacramento service department carries these items and will install them for you if needed. For service rates and to schedule an appointment call 916-920-3553.